This week's challenge in the Homespun Seasonal Living Workbook is to find and claim a special spot in your home as your seasonal refuge, or a place you can retreat to reflect on your intentions in whatever season you're in. 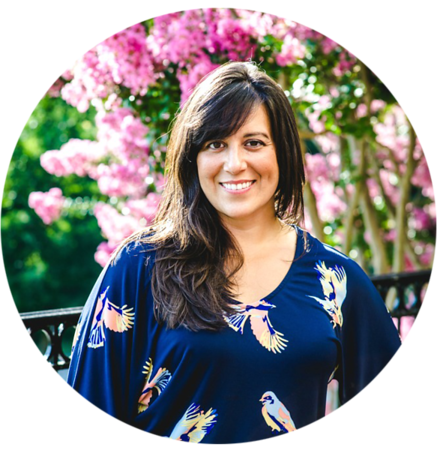 I knew my refuge needed to live somewhere in the main part of the house so it could be easily enjoyed throughout the day—when I try to hide away or find a place of solitude the kids are distracted to seek me out and it ends up being disruptive. I also want to do the things I love to do in plain view of them. I couldn't decide between the very cozy arm chair in the living room and staking claim to a little corner of the dining room table. I avoided my office, the most obvious opportunity for a special retreat, because it has been abandoned since I stopped working last year. For a long time it was piled high with all the random things I thought to save "just in case" I might need them at some later time, but probably wouldn't. It had become a collecting ground for miscellaneous things without a home. After procrastinating for a couple days I decided the desk had to be it and grabbed a trash bag to begin sifting through it all. 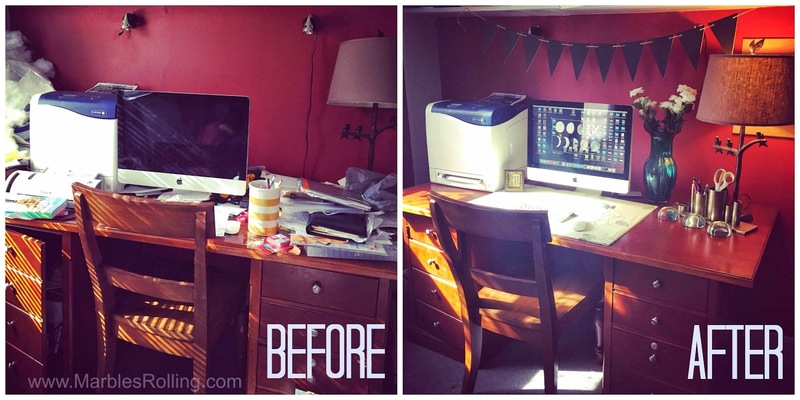 I cleared away all the junk, wiped away the dust, unwrapped a desk caddy that I received as a birthday gift last year, and found a new light bulb for the lamp. How about you? 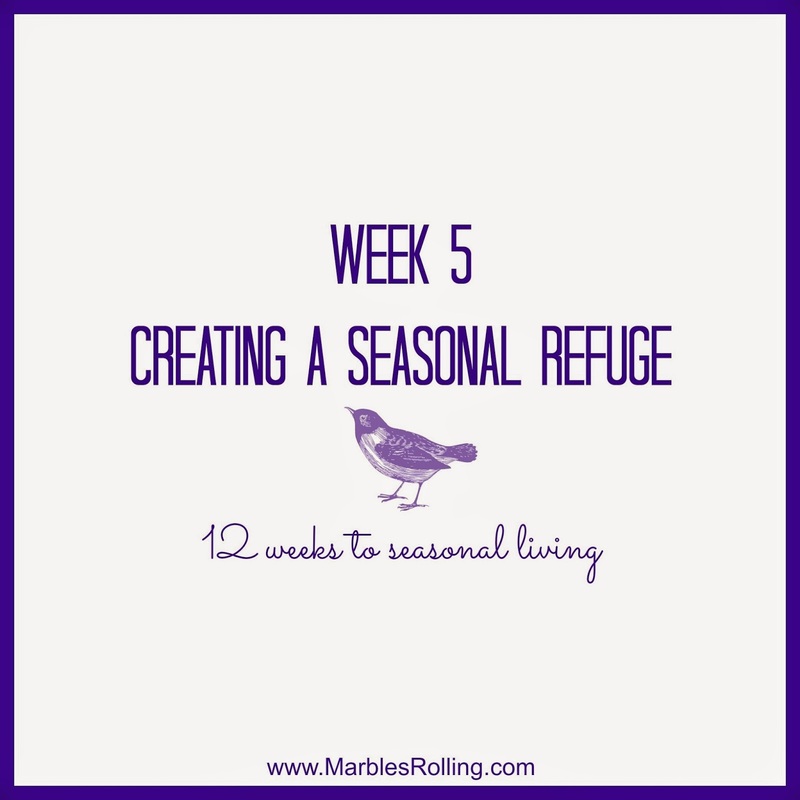 What space will you declare your seasonal refuge and how will you claim it?